Young Street Apartments by Reizand are in a remarkable 18th Century building that has been renovated to the highest standards of modernity and comfort while keeping its original period features. 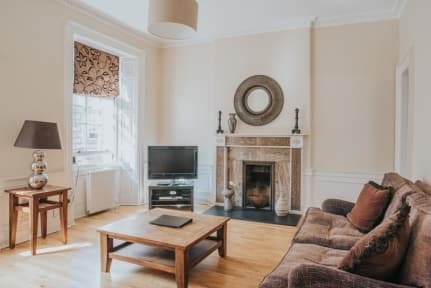 This sophisticated accommodation is very close to George Street with its designer bars and shops and the heart of Edinburgh's historic centre is just outside your door. 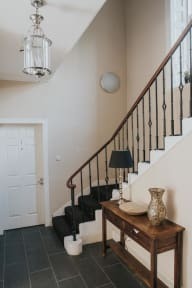 We offer a selection of well appointed 1 & 2 bedroomed apartments, suitable for 1-5 guests, featuring fully fitted kitchens, living room & free internet access and wifi. Young St. apartments are centrally located in Edinburgh, the Scottish capital and one of the most important cities in Europe. Edinburgh is a historical rich city that will surprise and inspire you by its amazing natural surroundings, cultural scene and first-class restaurant options. The Scottish capital is both a modern and historical city that must not be missed by travelers. Young St. apartments are also a great option for those visiting the city for business purposes as the financial and commercial districts are located closely to this delightful accommodation. Payment upon arrival by credit cards, debit cards, cash not accepted. This property will pre-authorise your card in before arrival.